The CM Global English assessment is a comprehensive series of English tests. 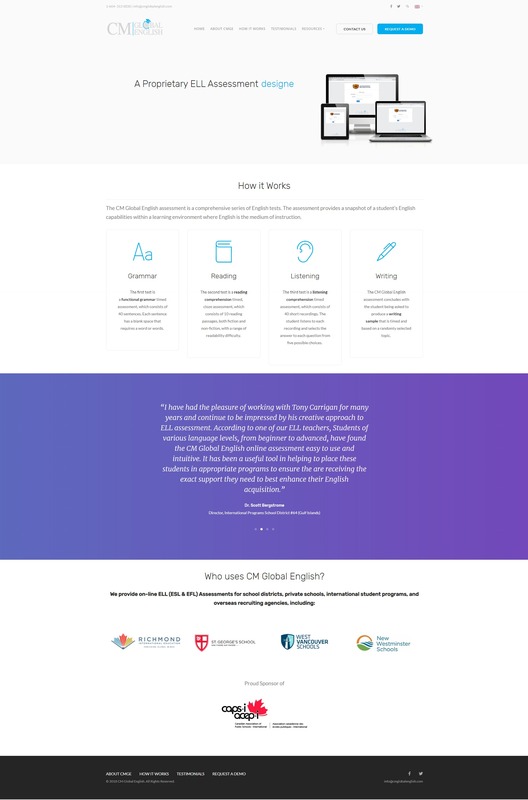 The assessment provides a snapshot of a student’s English capabilities within a learning environment where English is the medium of instruction. Not only did we build their website, but we also built them a custom laravel based software to run the assessment. We sat down with them to figure out what they needed, they had a product that worked, but they felt that it could do more. They needed something secure, reliable and easy to manage to ensure that their assessment was always available to the schools and school boards using it.